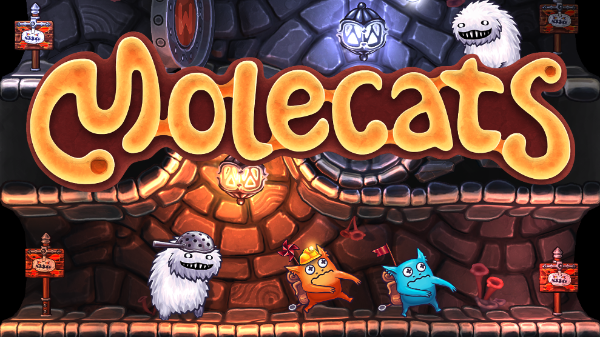 Molecats: Award-Winning Game Exits Steam Early Access On August 28! Award-winning puzzle game Molecats will be exiting Steam Early Access on August 28, 2018. Developed by Vidroid, Molecats introduces players to quirky mole/cat hybrids forever digging underground for tasty mushrooms and shiny relics! Molecats is definitely an indie game you should check out when you get the chance. It has gained a lot of award recognition! Enjoy simple yet challenging gameplay as you solve twisting puzzles by rotating tiles to connect paths and apply special powers. Avoid dozens of obstacles, monsters, and traps that try to slow you down. Keep trying without dying! Failure is not an option, but mistakes lead to even more puzzles. Molecats will be available on Steam as a full release on Tuesday, August 28 for $12.99. Feel free to visit Vidroid’s official website to know more about their projects. Do share your thoughts about Molecats with us. Next: Iconic Rangers Return in Power Rangers 25th Anniversary Trailer! New Series To Debut in 2019!